A Memory Palace is an ancient Greco-Roman method of memory enhancement employing the details of one’s habitual environment to quickly and efficiently recall information. The most common type of memory palace involves making a journey through a familiar building or town. 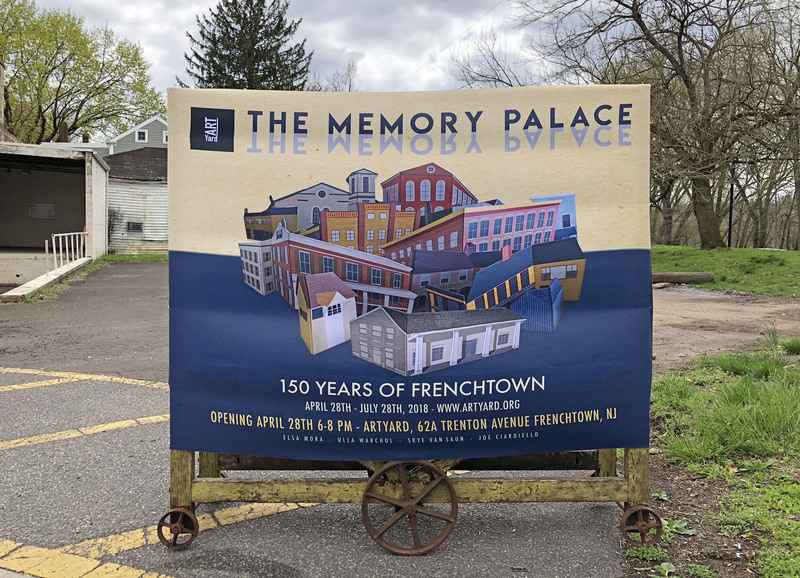 ArtYard is pleased to present The Memory Palace: Frenchtown at 150ish, a meditation on collective memory, excavation and place featuring a dreamlike scale model of Frenchtown inscribed with accompanying poems by Skye Van Saun. 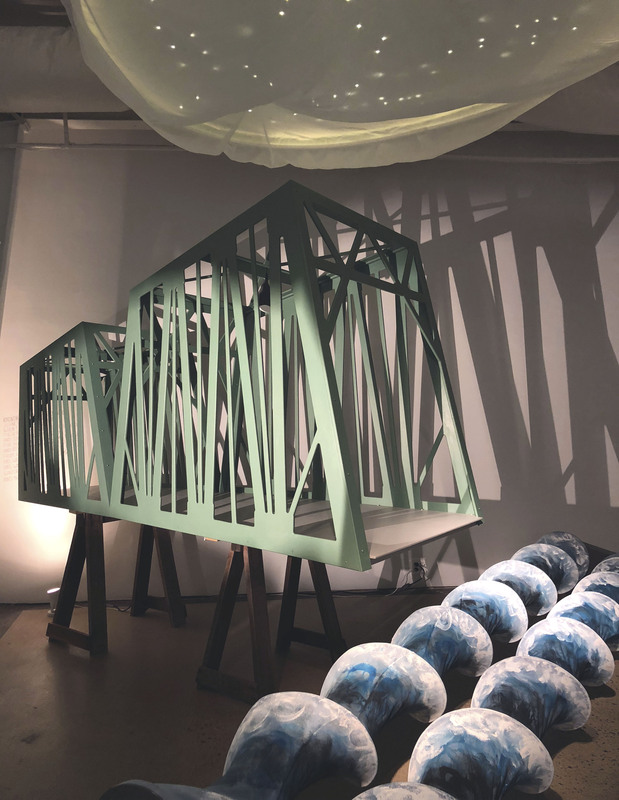 Architect and artist Ulla Warchol constructed the bridge and buildings in collaboration with artist Elsa Mora, who designed the structures and painted the intricate tableaux of architectural detail interwoven with local arcana and gathered memories. Flashlights are available so visitors can search for Skye Van Saun’s poems illuminating the inner lives of every building lining Frenchtown’s Bridge and Race Streets. 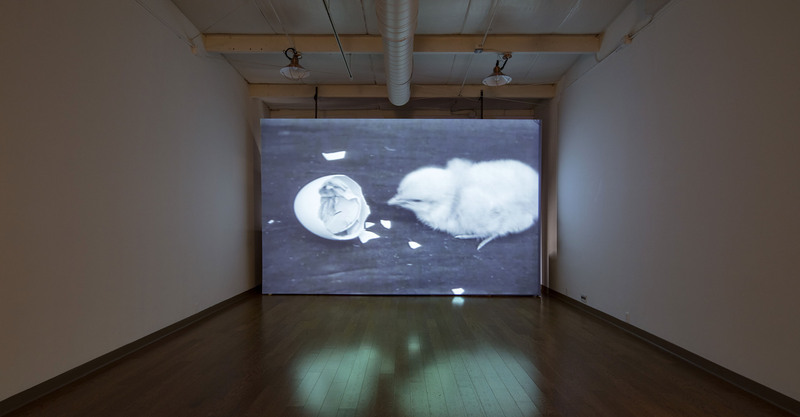 Video installation connected to the town’s nineteenth and twentieth-century history as the birthplace of millions of baby chicks. 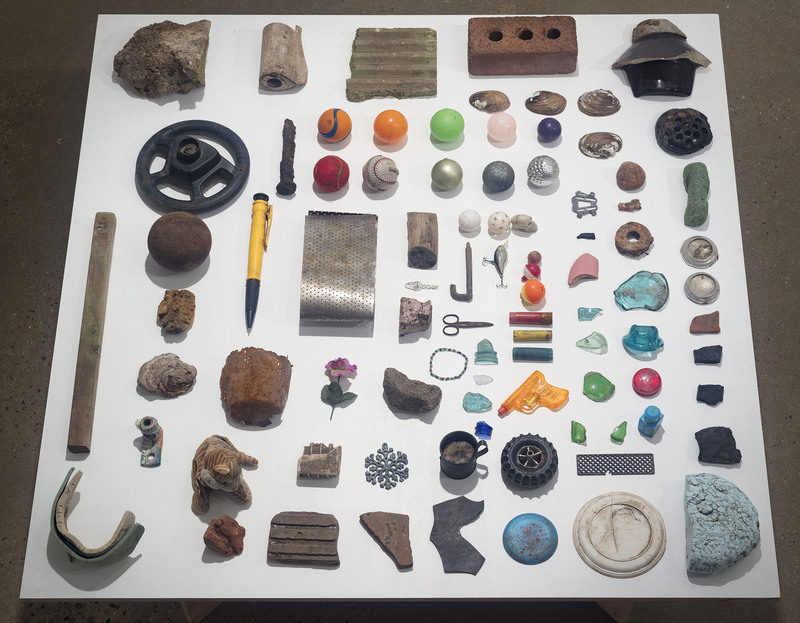 Unearthed, a publically sourced library of found objects collected by the local community and excavated in, near or around the Delaware River. 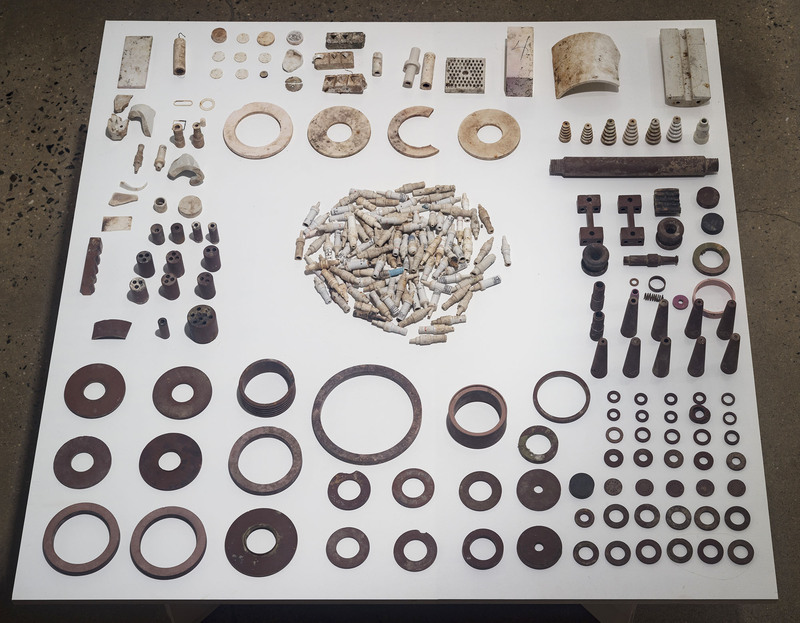 This repository was aggregated during an open call for objects as well as during several ArtYard organized mudlarking expeditions. 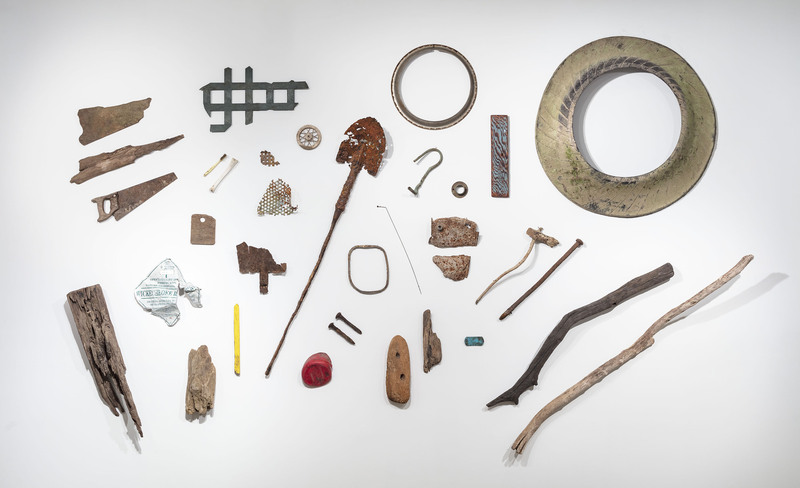 Drawing from the London tradition of scavenging in the River Thames, community members combed the banks of the Delaware and surrounding islands in search of artifacts displaced by the current. 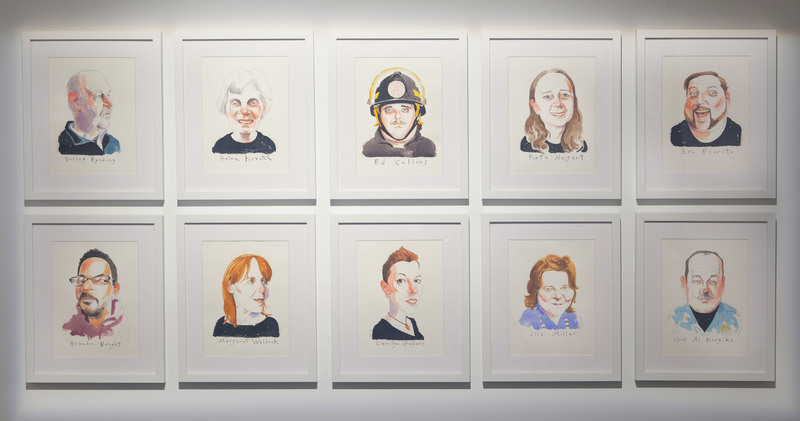 This exhibition also includes a collection of portraits of Frenchtown Fixtures by artist Joe Ciardiello. Throughout the duration of the exhibition, local families are encouraged to bring framed portraits of their ancestors and sit with them in ArtYard’s Photomat. 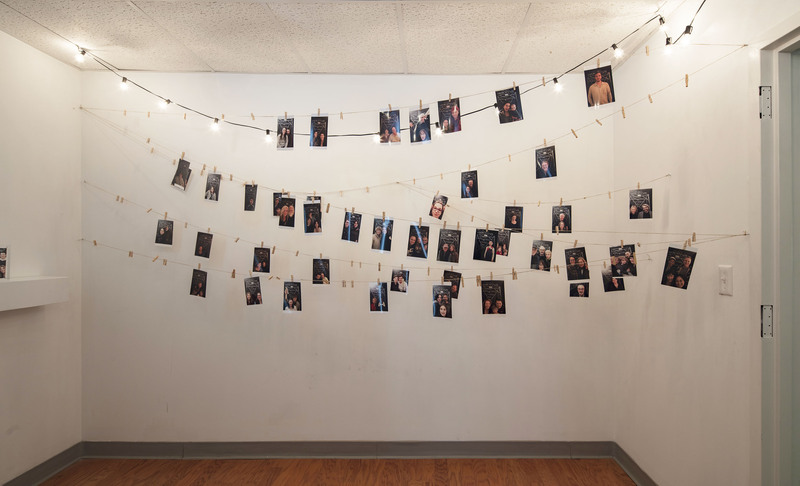 The resulting images will join an ongoing installation of photographs of intergenerational families from Frenchtown. 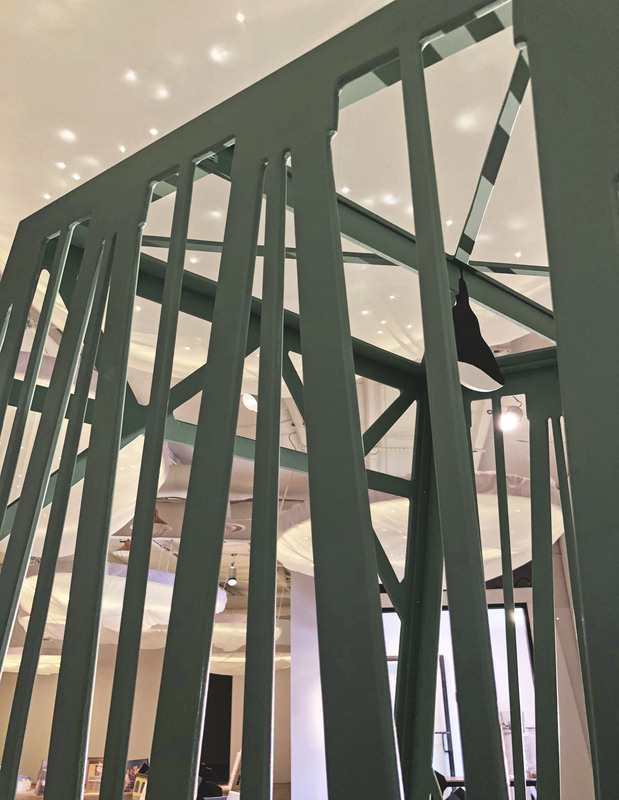 At the opening, a chocolate egg-filled piñata celebrated ArtYard’s planned 16,000 square foot new theater and gallery complex. Construction of this project will start soon and will last for a few years. Elsa Mora is an artist and curator. A recipient of the UNESCO-Ashberg Bursaries for Artists, she was born and raised in Cuba and moved to Los Angeles, CA, in 2001, where she lived until 2014. Elsa’s art has been exhibited worldwide in art galleries and museums. She has been a visiting artist at the Art Institute of Chicago, the San Francisco State University, The Art Institute of Boston, the MoMA Design Store, and the National Gallery of Art. Her work is in the permanent collection of the National Museum of Women in the Arts in Washington, DC, and the Long Beach Museum of Art in CA. 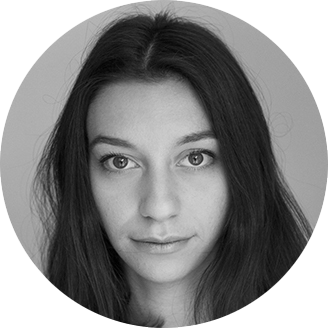 Mora has collaborated as an illustrator with organizations such as the Museum of Modern Art, Chronicle Books, The New York Review of Books, Penguin Random House, and Oprah Magazine. 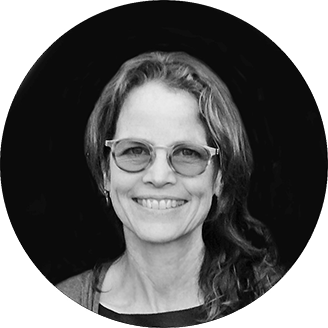 Ulla Warchol trained as an architect at The Cooper Union in the 1980s, and worked for a decade in the field while developing a multidisciplinary approach to structure. 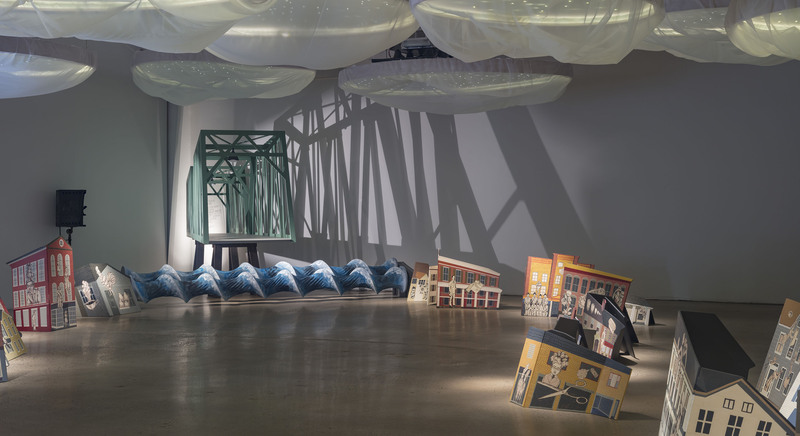 She leans toward a broad exploration of materials and techniques in large-scale works—interiors, buildings and set design—and in small-scale works—artist books, printmaking, fabrication, and collaborations with artists and writers. 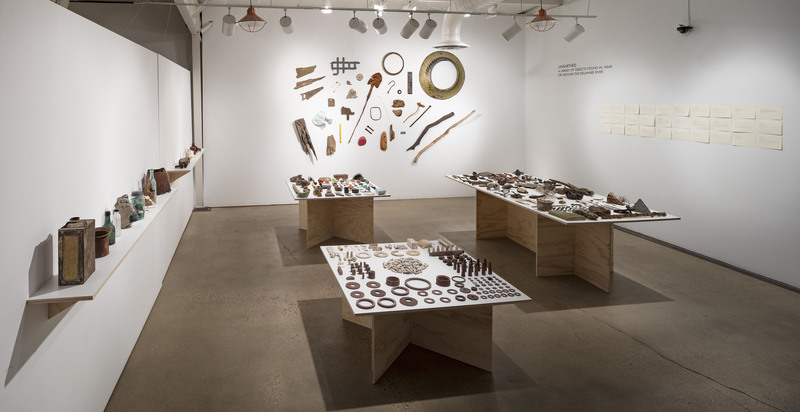 A former native of Manhattan, Ulla now resides in Pennsylvania with her family, where her studio practice enables her, on a daily basis, to never do the same thing twice. Joe Ciardiello is a graduate of Parsons School of Design where he earned a BFA degree. 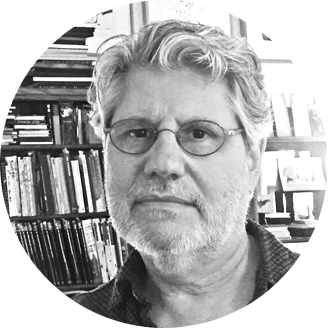 A freelance illustrator since 1974, Joe’s illustrations have appeared in The New Yorker, Rolling Stone, Time Magazine and the New York Times Book Review. He has illustrated books for a number of publishers including Harper Collins, The University of Texas Press and The Folio Society. Among his awards are four silver medals from the Society of Illustrators and in 2016 he was given their prestigious Hamilton King Award. Joe has had a solo exhibition of his work at the Society of Illustrators in New York and is included in their permanent collection. In 2017 an exhibit of his work entitled “Spaghetti Journal” was held at the Hunterdon Art Museum in Clinton, NJ. 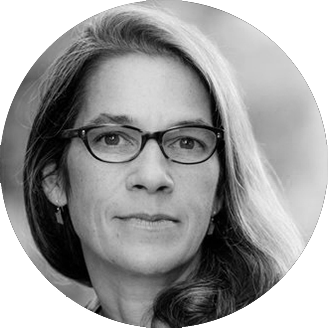 Skye Van Saun holds an MFA from Sarah Lawrence College, is a Geraldine Rockefeller Dodge Festival Poet and Director of the Delaware Valley Poetry Festival. 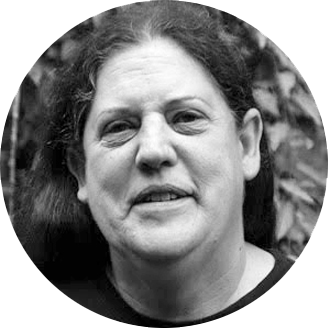 She has worked in the Superior Court of New Jersey, Domestic Violence Unit, taught poetry to prison inmates and served as guest speaker for many events including the Women’s History Conference “Women’s Stories, Women’s Lives,” at Sarah Lawrence College and at the Gun Violence Awareness Conference held at Harvard University. She lives by the Delaware River with her dogs, cat, guitars and a canoe. 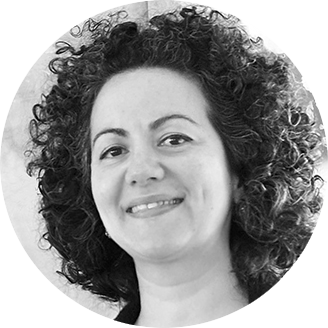 Jill Kearney is the founder and executive director of ArtYard. In a previous life she worked in Hollywood as a creative executive at Francis Coppola’s Zoetrope Studios, served as west coast editor of American Film and Premiere Magazine, and later ran the Tribeca Film Center-based offices of Los Angeles film producer Art Linson. She married Stephen McDonnell, founder of Applegate Farms Organic and Natural Meats, moved to Bucks County PA, worked briefly on the sausage line wearing a white cap, and sat on the board of Applegate Farms. 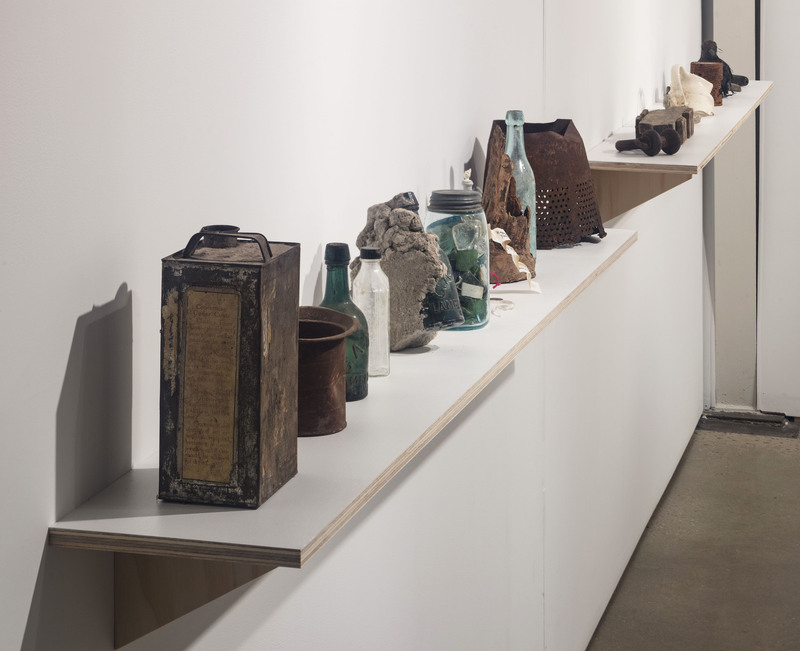 Lucinda Warchol is an artist, writer and curator. She grew up in Manhattan and Bucks County. After graduating from Pratt Institute in 2015 where she earned a degree in Critical and Visual Studies, Lucinda worked in the context of both the primary and secondary art markets in New York City. She recently worked as the creative director to Spoonbill Studio, a project space founded by the unconventional art bookstore, Spoonbill & Sugartown Booksellers in Brooklyn. 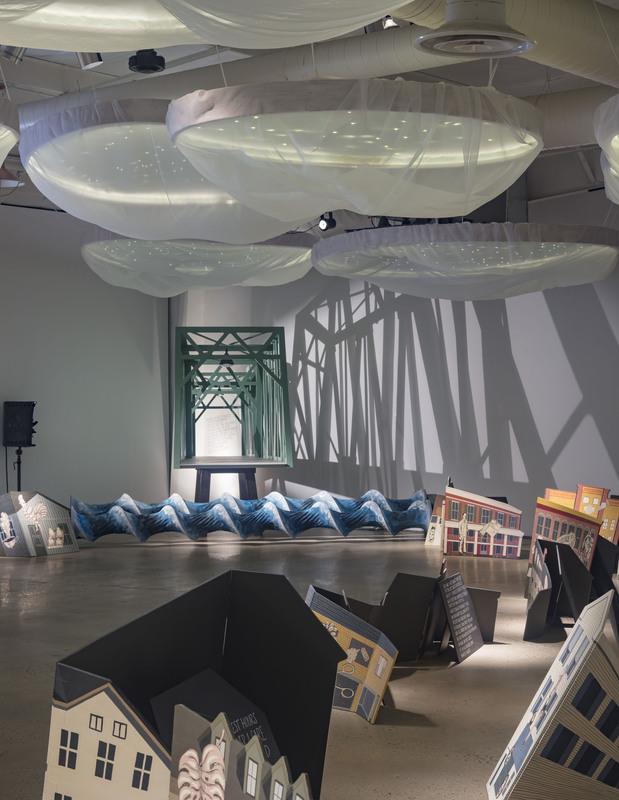 Lucinda’s own writing and work investigates collective memory, reinventing the archive and citizenship in times of displacement.